“Addiction” has easily become one of the most stigmatized words in the English language. It invokes a sense of severity. It signifies a medical diagnosis. It indicates that a person needs an intervention — and soon — before being lost entirely. But you don’t need to be an addict to benefit from the process of recovery. 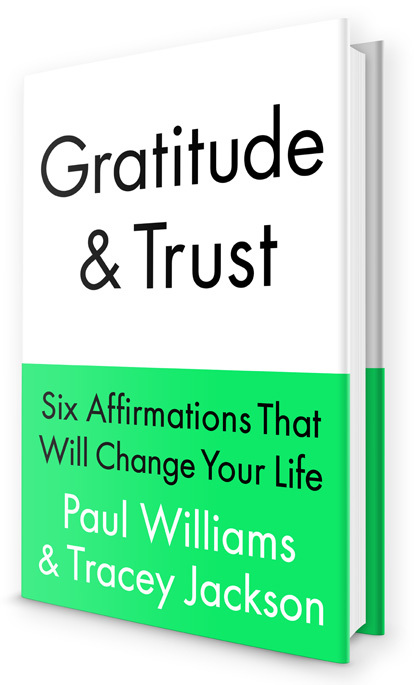 In their latest book, Gratitude and Trust: Six Affirmations That Will Change Your Life, co-authors Paul Williams and Tracey Jackson argue that therapeutic treatment can benefit anyone. No matter the walk of life you come from or the issues you face, the self-reflective recovery process can help you learn critical lessons. Using principles from the traditional recovery movement, the authors, who have become close friends over the past few decades, explain how such practices benefit a person’s mental, physical and emotional health regardless of the “A” word — and share their personal stories to prove it.